Great images. 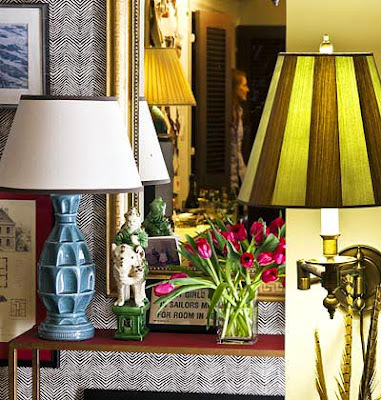 I'm a big fan of the zig zag pattern... but more tone on tone for me! OMG...Love that wall, well both walls! Great pics..got the zig zag.. I actually posted that last image on my blog yesterday, as well! I love the pattern. 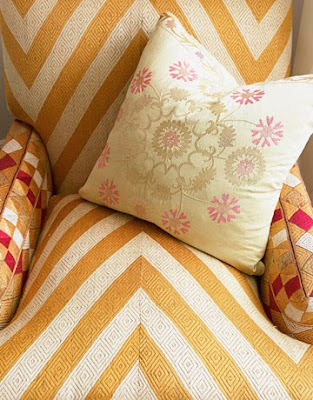 The fabric is called East Village and it's by Rubie Green, an organic upholstery company founded by Michelle Adams. She has really beautiful things, and I encourage you to check it out! i die over chevron. i just made some valances out of michael miller's summer swoire fabric... 4.00 a yard! The wallpaper alone tops the charts. I too have a passion for chevron. Great, great examples! Love all the zig zag. 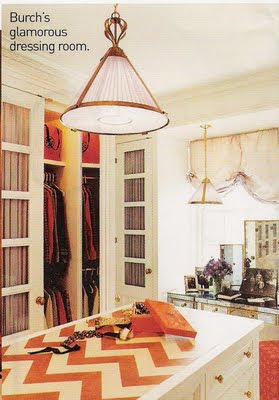 Would love to find some ribbon tape w/that to edge a drape with. Oh love these images. The dressing room is beautiful! ahh, i love the zig zag pattern! 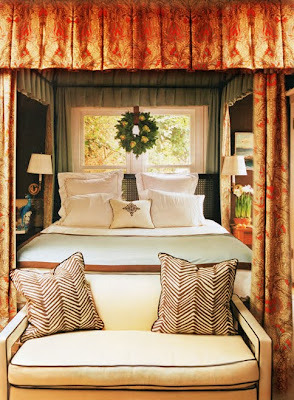 i have my rubie green bedding here at home and love it! gotta love the zag. i saw a navy/white DVF dress this weekend in the zig zag on consigment. i almost got it... and may have to go back for it! i'm SO not sick of this pattern yet! I too am loving this right now. At Target this week I saw great throw pillows on clearance for only $7 each. They had two color schemes but neither of them would work for me. Maybe they would for you. It's worth checking into. I, too, am also currently obsessing over zig zags. To be exact my current biggest obsession is the black and white zig zag rug by Madeline Weinrib - way out of my price range. But these images definitely help me to get my fill of zig zags for the day - thanks! 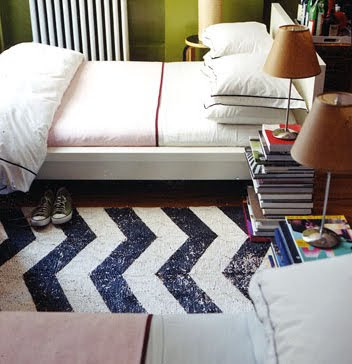 i love the diy zig zag idea!